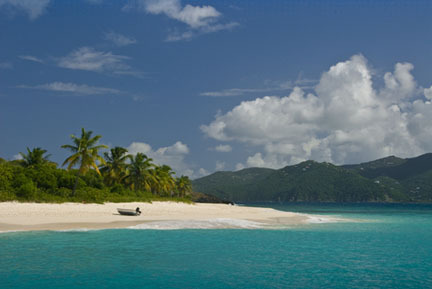 If you are looking for something out of the ordinary, Tortola could be the place for you. One of my favorite aspects of the island is that there are no direct flights here. To get here you have to fly to another Caribbean hub instead. Making an additional flight will cost you a few extra bucks. If you really want to save money though, you can always fly to a neighboring island and ferry over. A ferry ride from Charlotte Amalie (St. Thomas) to Road Town (BVI) takes only 50 minutes and will only set you back about $30 one way. I love the fact that the island is a bit out of the way. My main reason is that I hate crowds. I hate standing in line to check into my hotel or to see an attraction. I even hate when people bump into me in the grocery store, because they aren't looking where they're going. That's not to say that I haven't encountered a line on my vacation, but I don't consider having one person standing in front of me a line. Where I'm from that's almost a gift from heaven! 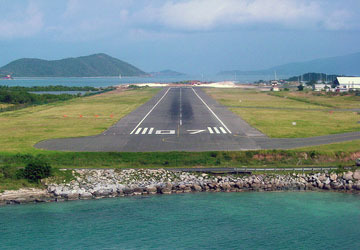 So if your looking for some first-class service without any hassles look no further than the crown jewel of BVI. I've also come accustom to having a nice secluded beach all to myself. That's right it does actually happen here. Now not all the beaches are going to be like that. Cane Garden Bay Beach will probably never be like that, but there are two or three spots where you can stretch out and have the place all to yourself. The largest hotel has only 153 rooms you can't find a mega high-rise all-inclusive resort here. Many of the accommodations on the island have 20 rooms or less. Again this keeps the lines down for all of us. You won't have to wait to be seated at the restaurants, unless there is some big island-wide event. If you don't want a to take the same cookie-cutter vacation as everyone else, then come join me here in Tortola. A place that's just off the beaten path, but still has plenty of things to do.